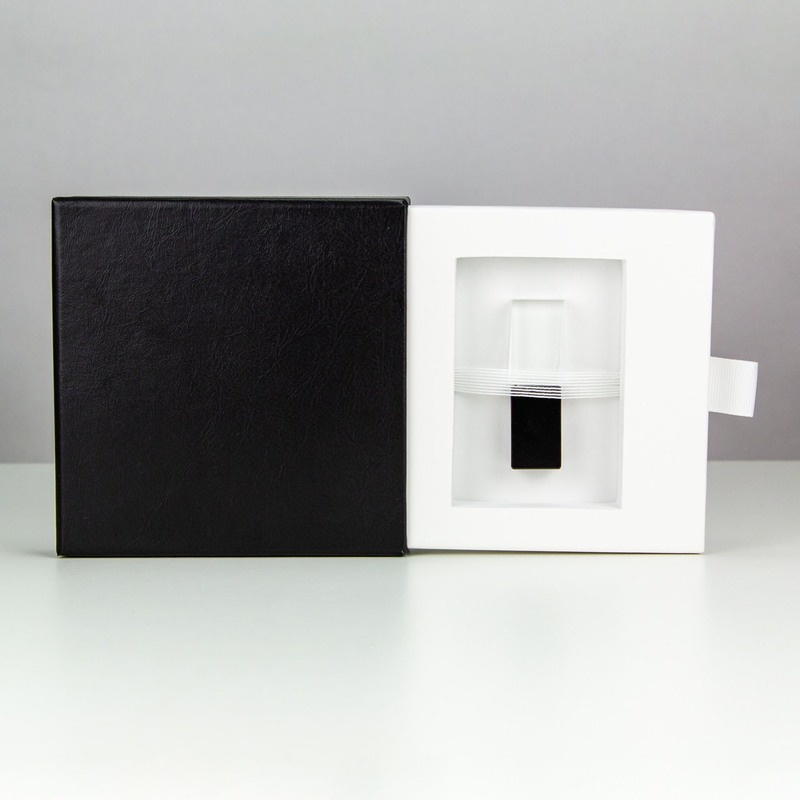 Keep memories tucked away with the Hidden Slide, a USB presentation box for photographers and their clients. 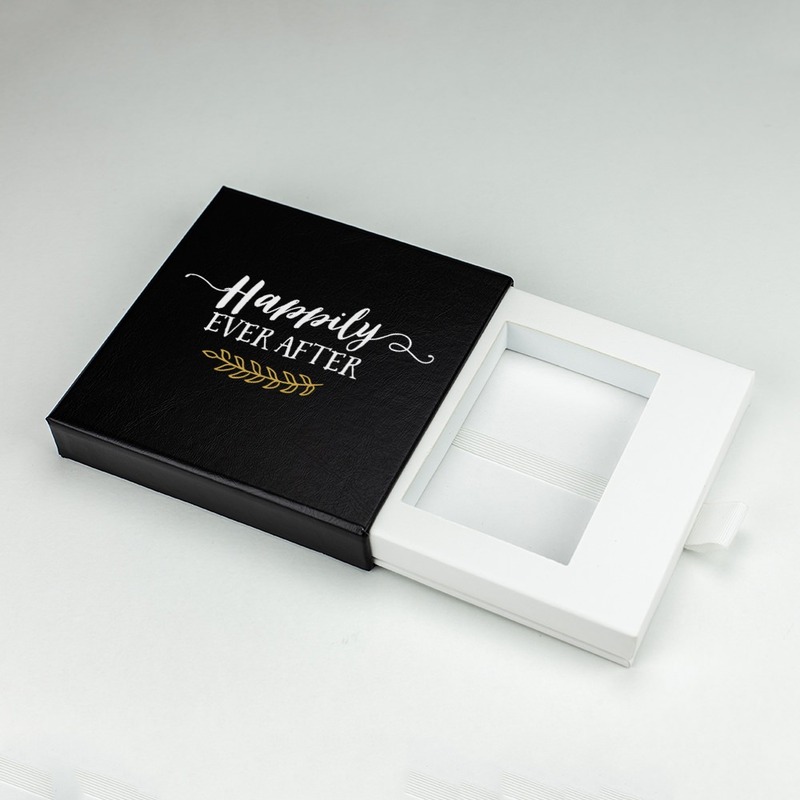 Wrapped in modern and slimming materials, this package offers discrete storage and protection for a custom wedding flash drive. Easily pull the ribbon tab to reveal the slide where the drive is stored. 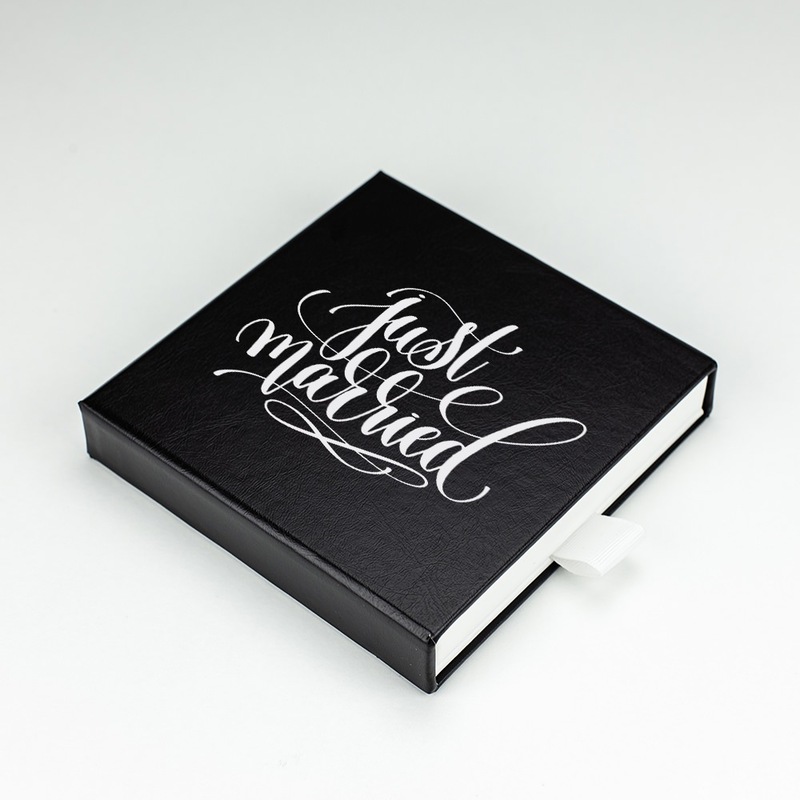 Add a more personal feel with custom printing on the box. The Hidden Slide is available in bulk equipped with three unique and high quality materials. A beautiful ribbon tab easily lets you pull out the hidden slide to access the flash drive, surrounded by elegant leather. 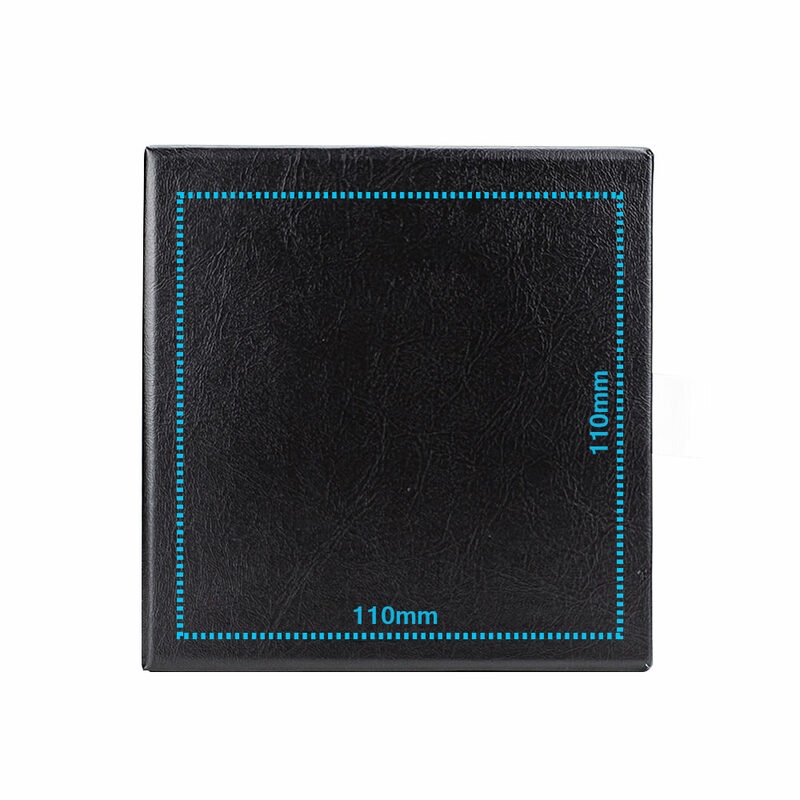 Its compact size feels good in the hand and is easy to store or display. Add a personal touch with custom printed logo or monogram! Available in bulk quantities, USB drive not included.